Cranial osteopathy is a subtle type of osteopathic treatment which gently releases stresses and tensions throughout the body, including the head. When we experience physical or emotional stresses our body tissues tend to ‘tighten up’. Any tensions which remain held in the body may restrict its movement. Gradually the body may find it more difficult to cope with accumulated stresses and symptoms may develop. Cranial osteopaths are trained to feel a very subtle, rhythmical shape change that is present in all body tissues. This is called ‘Involuntary Motion’ or the ‘Cranial Rhythm’. The rhythm was first described in the early 1900’s by Dr William G. Sutherland and its existence was confirmed in a series of laboratory tests in the 1960’s and 1970’s. At our Didsbury clinic, we tend to combine the ‘structural’ approach of the osteopathic training: massage, stretches, joint articulation and joint ‘adjustment’ techniques, with ‘cranial osteopathy’. We find this combination enhances the benefits of the pure ‘structural’ treatment. Some conditions which benefit from cranial osteopathy are: pressure headaches, migraines, sinus problems and emotional stress. Melissa Lodge , B Ost, MScPO believes osteopathy can optimise the health of the whole family. Whilst she enjoys treating patients of all ages, Melissa has a special interest in the treatment of babies, children and women during pregnancy. She believes passionately in the benefits of osteopathic treatment to ensure a child has the best start in life. She has experience in helping expectant mothers through the physical stresses and strains of pregnancy to prepare the body for labour and beyond, as well as treating newborns to resolve the physical stress of labour. She also strongly believes in providing osteopathic treatment for growing children to release tension and strain in the body which if unresolved can not only lead to aches and pains, but unsettled behaviour and sleep patterns as well as compromising general health. 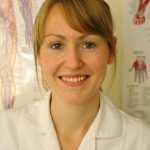 She has been privileged to work with some of the most experienced Paediatric Osteopaths in the UK at the Osteopathic Centre for Children (www.fpo.org), a charity that treats children from newborns to teenagers for a wide variety of conditions. She also has experience of working in the Children’s’ ward and with premature babies in the neonatal intensive care unit at North Middlesex and Barnet Hospitals, London, as part of the ‘flying osteopaths’ team with the Foundation for Paediatric Osteopathy. Melissa has a Bachelor of Osteopathy with distinction from the British School of Osteopathy (2004). Her postgraduate qualifications include a Diploma in Classical Osteopathy (2006) and a Master’s of Science in Paediatric Osteopathy (2010). She is registered with the General Osteopathic Council (www.osteopathy.org.uk) and a member of the British Osteopathic Association (www.osteopathy.org). 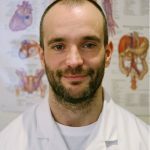 Jose Fernandez, BSc(Hons) Ost is a registered osteopath who graduated from the College of Osteopaths and Keele University. Jose has also undertaken further training in the field of cranial osteopathy, with the College of Osteopaths, the Upledger Institute and the Sutherland Cranial College. Introduced to manual therapy through massage more than a decade ago, Jose keeps developing a broad approach to the treatment of injury: combining very ‘directive’ and ‘structural techniques’ such as massage, stretching and ‘joint manipulation’, with the very subtle and soothing cranial work. Originally from Barcelona, Jose has lived in Manchester since 1997 and worked as a librarian at the City’s Cervantes Institute for many years. A keen sportsman, he is a member of the Manchester Frontrunners club, trains regularly at the gym and is a qualified scuba diver. His other passions include film, architecture, fine food and meditation. To arrange an appointment with an osteopath, or for further information, please contact The Crossway Clinic, Didsbury, Manchester on 0161 445 1018.